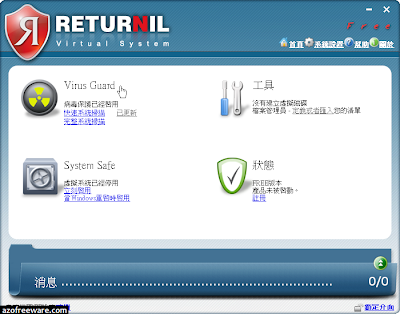 RVS is a completely new product that uses a combination of antivirus, antimalware and a virtual system to protect your computer from all types of viruses and other malicious threats. 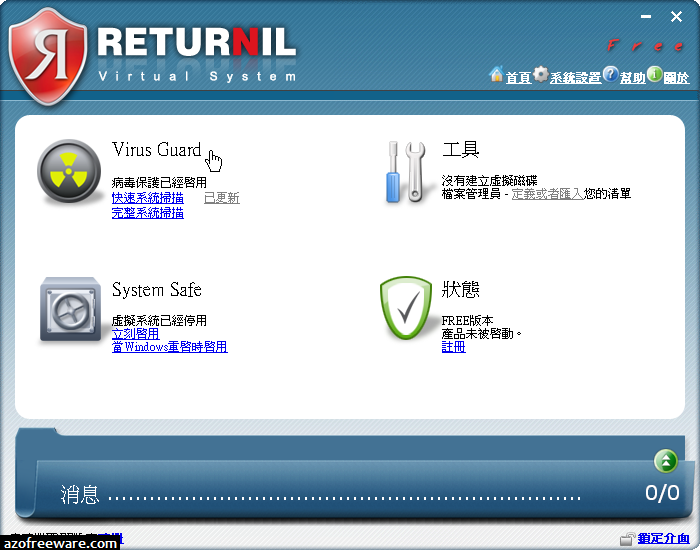 RVS uses an advanced anti-malware and virtualization technology. It clones (copies) your operating system and creates a virtual environment for your PC. Instead of loading the native operating system, a clone is loaded that allows you to run your applications and perform your online activities in an entirely isolated environment. In this manner, your actual operating system is never affected by viruses, Trojans, malware and other malicious threats. To return to the actual operating system environment, you just need to restart your PC. While working in the virtual environment, you have the option of saving documents and files so that your data will not be lost when the system is restarted.